Roots and other objects can obstruct the flow of sewer lines, causing sewage back-up into your toilet, shower, or other house drains. The important first step to solving this problem is to have a video camera inspection on the line done so that we can see where the problem in the line is and what we need to do to fix it. We encourage our customers to take advantage of our convenient and reasonably priced video camera inspections so that there is no guesswork involved. Robo Plumbing offers video camera inspection for the main sewer drain as well as other lines to detect the location of line blockage and fix the problem. Our professional and experienced plumbing technicians use the newest high resolution, waterproof, flexible cameras to detect and locate grease, build-up, debris, roots, and other obstructions that might be blocking your line. 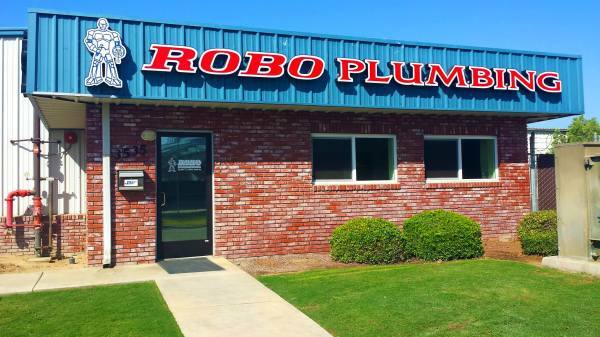 When you need professional camera inspection, Robo Plumbing offers the best in Bakersfield, CA. Call your local plumbing company at (661)323-6000 now for a free estimate. Interested in a Video Camera Inspection?